Consider Android’s Gingerbread release “game on” for the developing community. The Google Android development team has released the source code for programmers and developers to come in and start customizing to fit their needs. 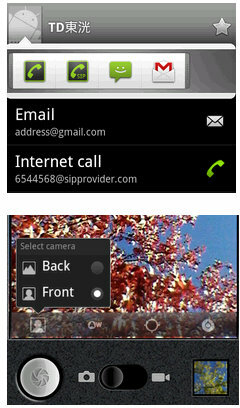 Currently, the only Android smartphone on the market running the Android 2.3 release is Google’s own Nexus S smartphone. For developers, the Android 2.3 platform is available as a downloadable component for the Android SDK. The downloadable platform includes an Android library and system image, as well as a set of emulator skins and more. The downloadable platform includes no external libraries. To get started developing or testing against Android 2.3, use the Android SDK Manager to download the platform into your SDK. For more information, see Adding SDK Components. If you are new to Android, download the SDK Starter Package first. For a high-level introduction to Android 2.3, see the Platform Highlights.